This page contains old stock, discounted items and oddments to be cleared. Sizes and prices as marked. 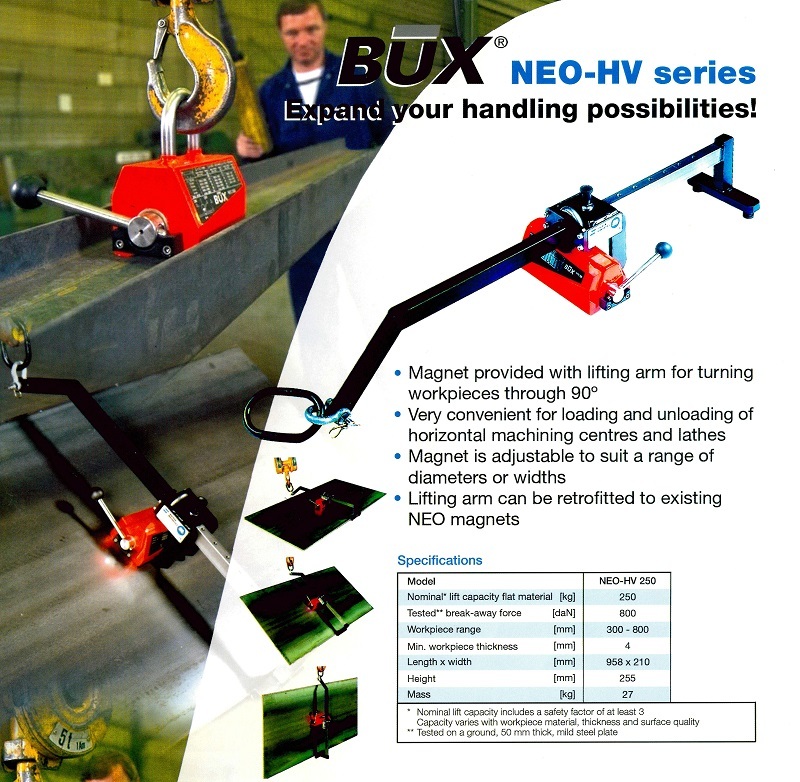 This BUX lifting arm is suitable for any existing SAV or BUX NEO 250kg Lifting Magnet. Used for lifting and turning workpieces by 90º from Horizontal to Vertical and back again. Special Price with 33% discount = $725 +GST. ($797.50 inc. GST)*. *Magnet not included in above cost but is available separately.